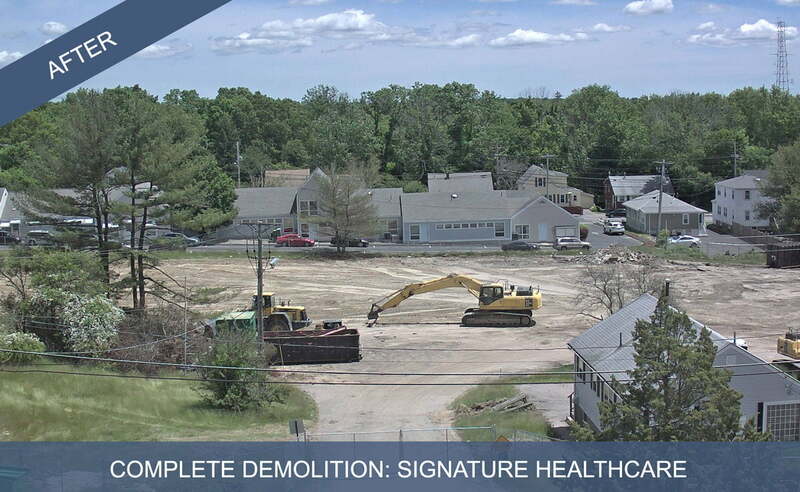 We recently completed a full demolition project for Signature Healthcare as you can see in the before and after images below. 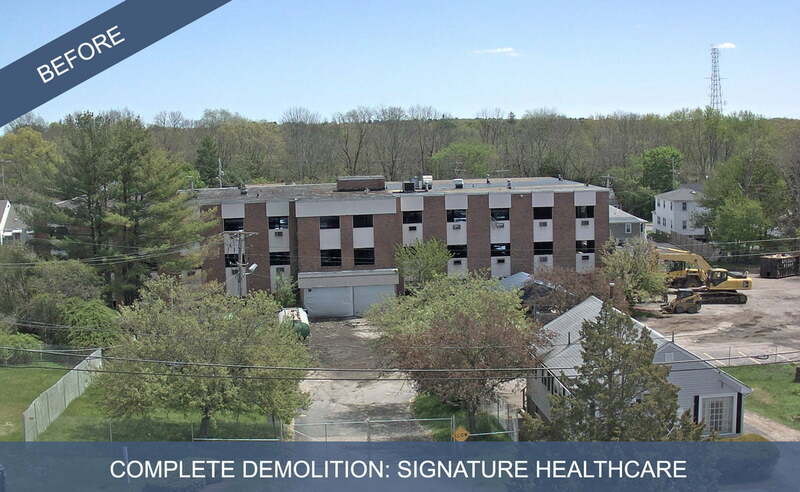 As a fully licensed and insured contractor, Banner Environmental Services provides comprehensive demolition services from planning and preparation to in-depth clean-up – as you can see in our complete demolition before and after here. We understand that each and every demolition project is unique including uncovering what lies hidden within and/or beneath a structure, which is why our customers have come to rely on the breadth of experience our team possesses. Our team of highly-qualified and trained technicians are not only fully equipped to manage complete demolition projects in their entirety, but they are also ready to combat any environmental issues that may arise throughout the course of the demolition. In addition to the standard demolition and environmental services, our customers are also provided assurance that safety is implemented every step of the way. This includes the work site and surrounding area. If you would like a free estimate for a complete demolition project, call us at 866-934-2374 or schedule your free estimate today. We provide services throughout all of Massachusetts including Greater Boston, Cape Cod, Martha’s Vineyard, and Nantucket. I think it’s important for a demolition company to be aware of what they’re uncovering under a building, like you said. Whether it’s time capsules or old water lines, it’s good to be mindful. I would want a demolition company to be very thorough and take care of whatever comes up. Thank you Jack and April for your thoughtful response. It is great that safety was insured for the site and surrounding area. I think it is something to watch for when you are looking for a demolition service. I would also make sure they recycle as much material as possible.